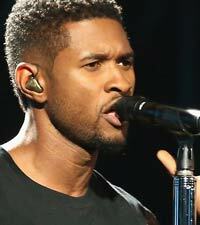 Usher’s 11-year-old stepson, Kyle Glover, hasdied following a jet ski accident earlier this month, TMZ reports. Glover was declared brain dead soon after the July 7 incident, which took place in Lake Lanier, Georgia, and after determining that the boy’s injuries were too severe to warrant further treatment, doctors removed him from life support. Usher’s ex-wife, Tameka Foster, reportedly wrestled hard with the decision, and she’s said to be “devastated” by the death of her son. While the accident remains under investigation, reports suggest a family friend lost control of his jet ski and smashed into Glover, who had been riding in an inner tube. The boy was pulled unresponsive from the water and transported to an Atlanta hospital, where both Usher and Foster rushed to his bedside.